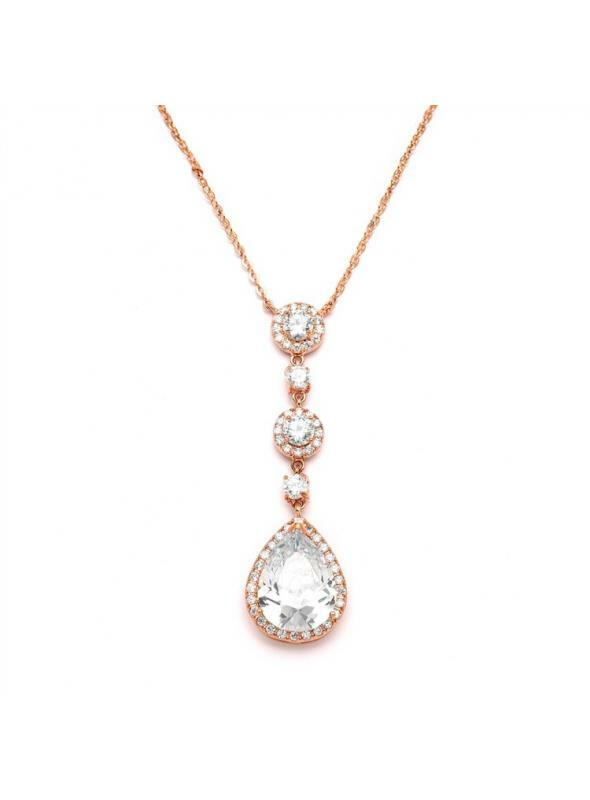 This beautiful vintage inspired adjustable 16'' - 18'' CZ bridal necklace is plated in Rose Gold, has a 2 1/4'' h zirconia dangle perfect for brides. 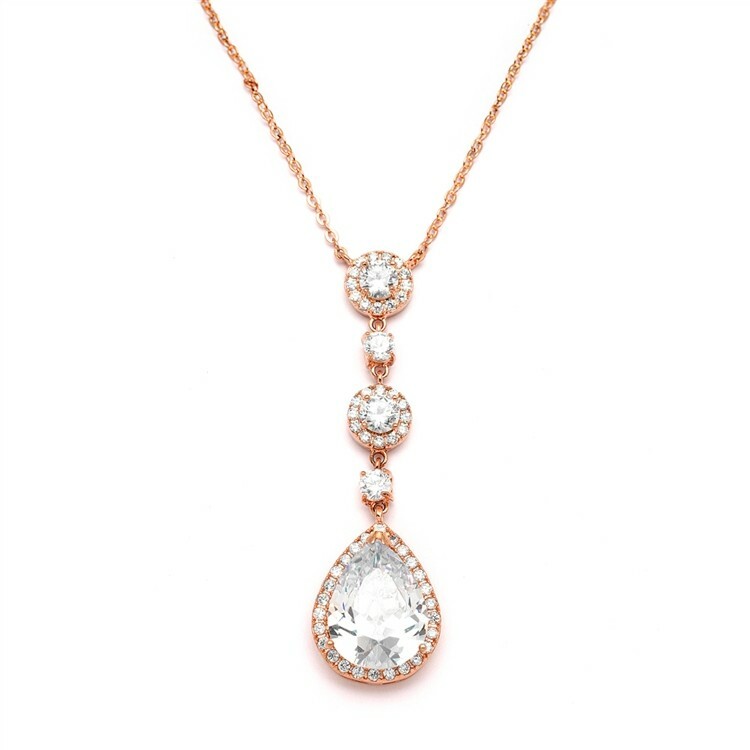 A gorgeous CZ vintage inspired rose gold plated necklace featuring pave framed rounds with pear-shaped drops that is the perfect accessory for your wedding, party or gala gown that will make you look glamorous and elegant. 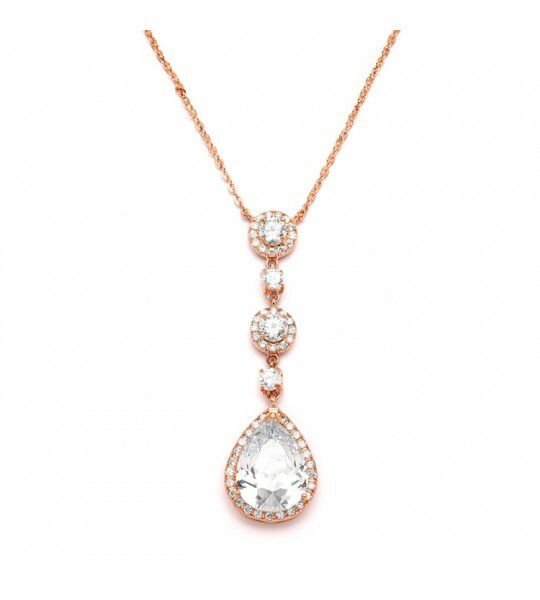 This CZ necklace also has pierced earrings as style 400E-RG and clip on earrings as style 400EC-RG sold separately which go perfectly with our best-selling Titanic or Downton Abbey gowns to create the perfect outfit.